Recently we were considering some international trends covered by The Economist where it looks at the average mileage in various countries. Several different aspects are considered including the number of trips taken, the volume of traffic on the roads, and the total distance traveled as a country as a whole, and per driver. 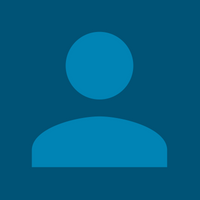 On the issue of the average mileage that newspaper looked in detail at the development of the figures since the early 1990s in several countries: Britain, United States of America, France, Germany and Japan. The results can be seen in the chart. 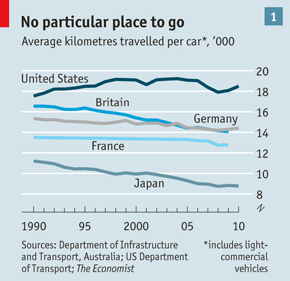 The Economist concluded that average mileage in the United States of America, described as “the most car-mad country in the world” began to plateau in 2004 and started to drop in 2007. Other countries have been in decline for a longer period. Every country considered shows a slowing down of mileage growth which had been on an upward curve every year since the 1950s in rich countries. We wanted to test those figures against the most recently available Irish statistics to hand – courtesy of nmr.ie – which can be observed in the chart below. The reader can see that Ireland too is displaying a “slowing down” in growth: however, in Ireland, unlike the countries considered by The Economist, the average mileage actually continues to push upwards until it peaks in 2008 before it falls. This would be consistent with the economic environment prevailing at the time – remember Ireland was in the last throes of the Celtic Tiger when excess was the buzz word and people were working harder than they ever had before. Another interesting aspect when comparing the results in Ireland with the international picture is that average mileage in Ireland is higher than in Britain and Germany and France and considerably higher than Japan. In fact, we are closer to the United States of America average than any of the other countries considered by The Economist. One reason for this is that Ireland is relatively small in terms of overall area and that people are far more inclined to drive by car to every destination. After all, every part of our country is “do-able” in a day’s drive. Other reasons for the higher mileage in Ireland may be the relatively large number of people who live in rural, often isolated, areas and need the car for their day-to-day activities. 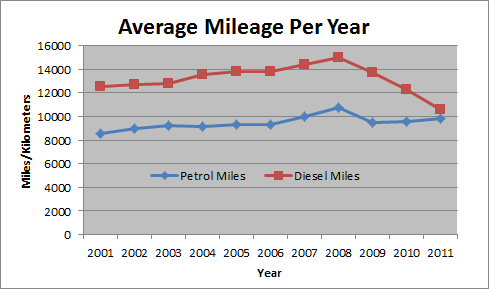 In any event, one thing both sets of results show is that average mileage is declining everywhere. Various reasons were put forward by The Economist. These included a decline in the overall numbers of people commuting by car, saturation of vehicle ownership, and an increased number of young households without a car – as people are getting their licences later. Of course we mustn’t forget the overall economic landscape for surely when activity and growth are down then distances traveled will decrease for a variety of reasons: expense of running a car, higher petrol prices, and insurance costs, lower rate of commuting because of joblessness, and overall decline in business travel because of worsening economic conditions.